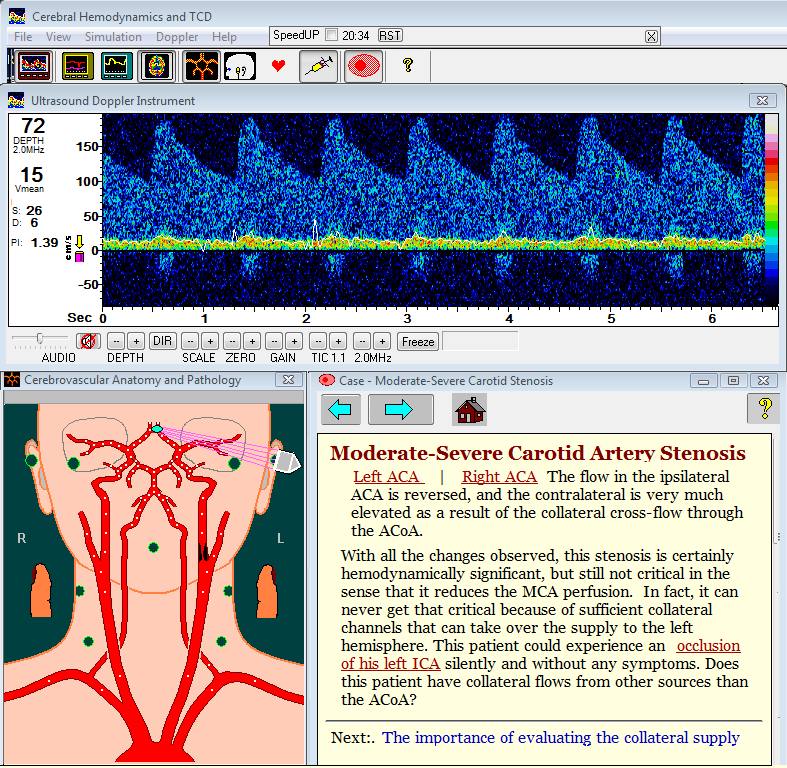 The flow restriction principle is based on using the arterial wall as a sensor. If this wall is balanced (partially collapsed, hence restricting the flow) between the pressure inside (ABP) and the pressure in the cuff, these pressures should be approximately equal. 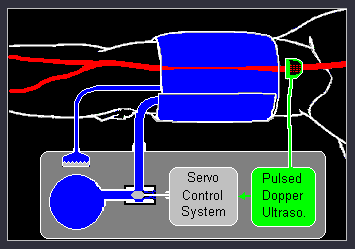 By using a very fast pneumatic servo system, the artery can be kept in this state throughout the heart cycle. The waveform recorded from the cuff should then represent the waveform of the ABP pulse.